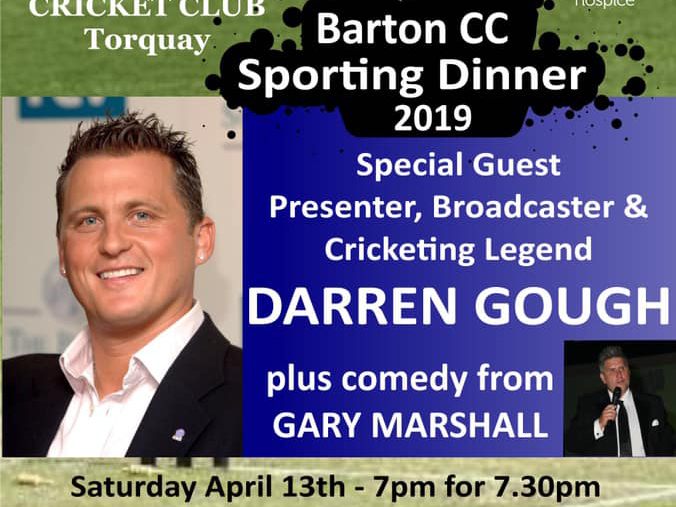 FORMER England fast bowler Darren Gough is the top-notch speaker lined-up for Barton CC’s gala curtain raiser for the new cricket season. Cricketfield Road is home to a thriving colts’ section with teams at all age groups in the Wollen Michelmore South Devon Youth League. Barton need cash to keep their youth section going – and have booked Gough to speak at a fund-raising sporting dinner. The date is April 13, the venue the Riviera International Centre and the time 7.00 pm for 7.30pm. 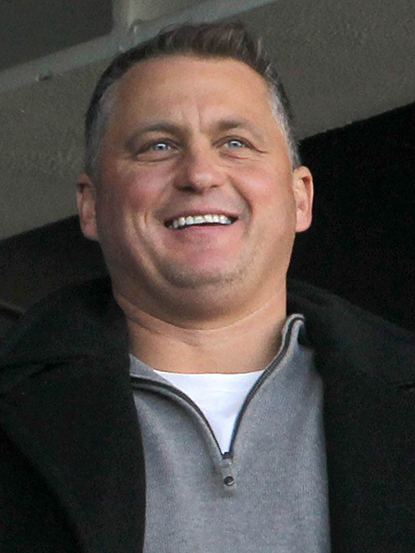 Gough played First Class cricket for Yorkshire and Essex between 1989 and 2008. Sandwiched in the middle of his career were 58 Tests for England, in which he took 229 wickets, a tally that included an Ashes Series hat-trick against Australia in Sydney. Gough retired from Test cricket in 2003, but carried on playing one-day internationals until 2006. He finished his career with more than 200 international appearances in all forms of the game. Gough wound-up his professional career as Yorkshire captain, bowling his last over in September 2008 against Somerset at Scarborough. The 855thand final wicket of his bowling career belonged to Aussie run-machine Justin Langer. Gough has carved out a media career in broadcasting since hanging up his boots. Joining Gough on the top table at the Riviera International Centre will be comedian Gary Marshall, a veteran of the after-dinner circuit who has worked with sporting greats such as Geoff Hurst, Bobby Charlton, the late Henry Cooper, Ian Botham, Graham Gooch and Garfield Sobers, to name just a few. Part of the proceeds from the dinner will be donated to Rowcroft Hospice in Torquay. Sports firm Pro:Direct and financial services company Bedrock are the event sponsors.